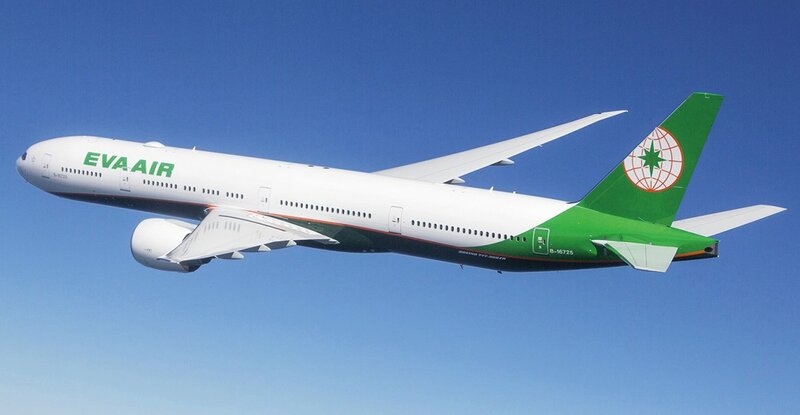 Airlineratings.com presents our independent EVA Air safety ratings and reviews. Baggage privileges and Exclusive check-in counter. Premium in-flight dining and wine selection. Seats are configured in a reverse herringbone layout with lay flat beds. 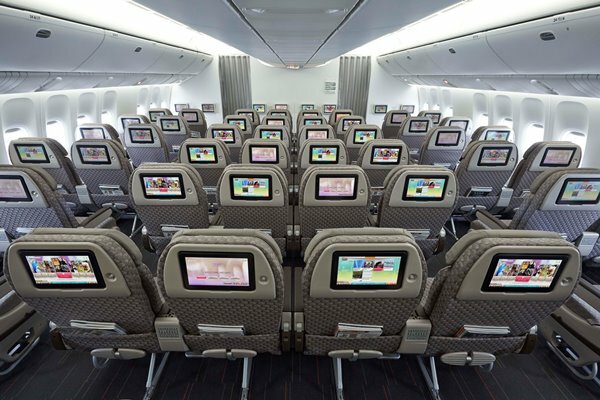 In-flight entertainment system, including HD touch screens, noise-canceling headphones, USB ports, and 110V power sockets. Amenity kit and pajamas for long-haul flights. Multi-course restaurant quality meals and beverages with option to pre order meals on line; beverages and snacks available on demand. Seat pitch of 61 to 62 inch which recline to flat position. In-seat power, satellite phones, SMS and email service. Equipped with 10.6-inch personal touch screen and the latest Panasonic eFX film on-demand system. Full meal and beverage service with a choice of entrees and main courses. Audio/Video On Demand with 11 inch LCD touch screen and noise canceling headphones. Seat pitch of 38 inch with a width of 19.5 inch. In-seat power and emails and texts can be sent from the air. Blankets, pillow and amenity kit provided. Fresh and healthy inflight cuisine. Audio/Video On Demand as well as email and cell phone text message capability available. Seat pitch of 32 to 33 inch on A330-200s, 777s, and A330-200s; 31 to 32 inch on 787s, A330-300s and A321s. Bottom seat cushion moves forward when reclining. 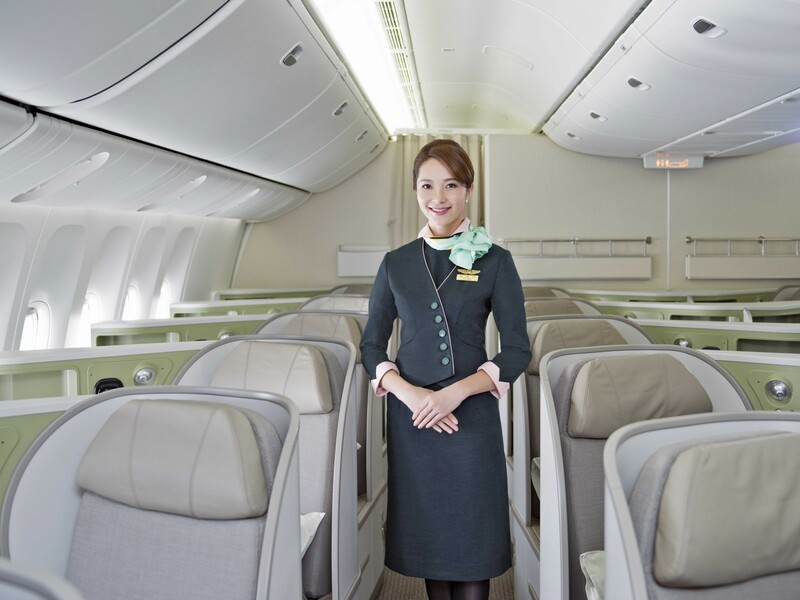 Click here for more information about our EVA Air reviews and safety ratings system.